“I completely understand why some of you are concerned. It’s not a well-worded letter – the reference to the ASA providing indisputable evidence is silly, and the implication that people should seek faith healing at the expense of medical intervention is something that I just don’t believe in. For what it’s worth, I also think that the Fabrice Muamba reference is crass. So on all those fronts, I should just say sorry and not bother defending myself. I shouldn’t have signed that letter as it was written, so I apologise for putting some of you in quite a difficult position. a) The ASA genuinely do a brilliant job, but they really aren’t appointed to be the arbiter of theological matters, I think they’ve overstepped their remit b) As a Christian I believe that prayer helps – although my belief is that God mostly heals through medicine, surgery and human compassion and ingenuity. c) Freedom of speech – an organisation that makes a faith based claim that is clearly subjective (in the same way that a political party makes subjective claims) should be able to make those claims within reason. I would have to agree that the letter from Christians in Parliament is not worded as well as it could and should have been, although the reasoning is spot on. It is a shame that Tim Farron feels the need to distance himself from it, although it does beg the question as to why he signed it in the first place. I do admire his honesty and willingness to admit that in his eyes he made a mistake, whilst still criticising the ASA. The ASA has an important role to monitor advertising but when they stray into areas of belief and religion it does expose their shortcomings. You can’t treat faith like science; it needs a different approach. The danger for the ASA in this is that it is developing a reputation for being anti-faith and biased towards secularist ideology. This is not doing anyone any favours and the sooner it is resolved the better. 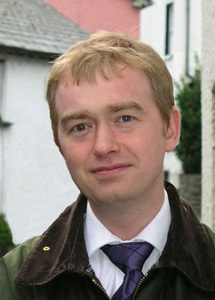 I just wanted to say that Tim Farron’s clarification – and the views of some Lib Dems in response to this issue – caught my attention, and has caused me to consider whether the Liberal Democrats may in fact be worthy of my support/allegiance. That is to say that I personally consider this a free-speech issue – one in which ASA has no business meddling in. If the Lib Dems as a group stand for defense of free speech in an example such like this, I am impressed. I could get behind a group that held to such standards, and would defend other’s rights to make crazy statements of belief – even if they personally consider them completely nuts. Unfortunately however the general populace in the comments don’t seem to take that view. For that reason I’ll have to remain unaffiliated for the time being. Thank you Honest Christian; well said. I think with anything like this, you will get plenty of negative comments. There are a lot of people who want to explain away the thinking of these silly Christians. I’m not sure if Christians are outnumbered on issues like this or whether they are just less willing to stick their necks out and voice their opinions. Respectfully, I think the ASA rejected the claim due to a spate of Churches in London who are encouraging people to stop taking AIDs medication – which has caused three deaths – on the basis that God will cure them. While that is not precisely what this group were doing, the ASA need to crack down on this situation. There’s a difference between expressing a matter of faith and fatally misleading people. Thanks Helen. I agree that those running healing ministries in a responsible way giving out sound advice about not stopping medication until a doctor okays it are being penalised partly because of some churches such as the ones you mention who are operating irresponsibly. They give all Christian healing ministries a bad name and are dangerous. The ASA rightly needs to clamp down where it can on advertising that threatens peoples health. I go along with this. However telling Christians that they can’t even say that they believe that God heals is repressing free speech and goes beyond their remit. We ahve to make a clear distinction between the two.